1 October 2015 is the date for this year’s World Ballet Day live stream. Following last year’s unprecedented collaboration for the first World Ballet Day LIVE, five of the world’s leading ballet companies will once again stream 23 hours of live, behind-the-scenes footage on Thursday, 1 October. The Australian Ballet, Bolshoi Ballet, The Royal Ballet, The National Ballet of Canada, and San Francisco Ballet have partnered to provide viewers around the world with an inside look at professional ballet companies in the studio, on tour, and in performance. Each company will introduce viewers to a variety of experiences from technique classes and rehearsals to backstage preparations; an opportunity for audiences to see what it takes to be one of the world’s top companies and get an inside look at the athleticism and dedication required for a life in ballet. 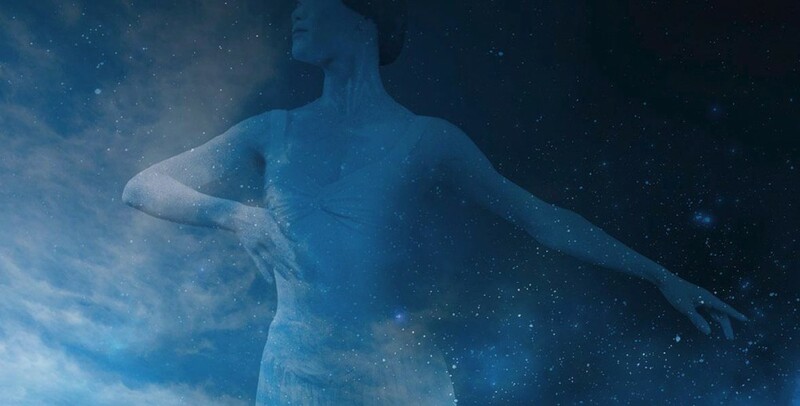 A novelty this year is that World Ballet Day LIVE will include pre-recorded footage from a wide range of regional dance organizations geographically close to the five participating companies. Confirmed companies so far are American Ballet Theatre, Bangarra Dance Theatre, Birmingham Royal Ballet, Boston Ballet, English National Ballet, Hamburg Ballet, Houston Ballet, Les Ballets Jazz de Montréal, National Ballet of China, Nederlands Dans Theater, Northern Ballet, Pacific Northwest Ballet, Royal New Zealand Ballet, and Scottish Ballet. The first World Ballet Day LIVE was held on 1 October 2014. The live broadcast attracted a total of 502,823 views from dance lovers around the world who watched for an average of 27 minutes. It was inspired by Royal Ballet Live in 2012, a nine-hour live streaming via YouTube and The Guardian website. The Australian Ballet once again kicks off World Ballet Day LIVE from its headquarters in Melbourne, Australia. This presentation includes rehearsals of Artistic Director David McAllister’s brand new production of The Sleeping Beauty and four other productions that will tour to China later that month. The cameras will also go behind the scenes to learn about The Australian Ballet School with a sneak preview of a new ballet for children. Joining The Australian Ballet for guest spots throughout the program will be esteemed fellow dance companies Bangarra Dance Theatre, the Royal New Zealand Ballet, and the National Ballet of China. The Bolshoi Ballet will present the company in their daily routine with highlights of their 240th season. After morning class, there will be a report on two world premieres from last season — Radu Poklitaru’s Hamlet and Yuri Possokhov’s Hero of Our Time — as well as live rehearsals and a look at the gala dedicated to the memory of Maya Plisetskaya. Through interviews with Vladimir Urin, Sergei Filin, Yuri Possokhov, Boris Akimov, Brigitte Lefevre, Azarii Plisetski, and more, this programming will underscore the Bolshoi Theatre as the nucleus of all things dance. The Royal Ballet will air exclusive backstage footage from across the Covent Garden building and, with segments of morning class live, will follow the preparation and off-stage action from a matinee performance of Kenneth MacMillan’s Romeo and Juliet with Federico Bonelli and Lauren Cuthbertson in the 50th anniversary year of the ballet’s creation. Rehearsals for the world premiere of Carlos Acosta’s Carmen which opens in October will be broadcast alongside exclusive footage of Royal Ballet Principals preparing for highlights from the 2015-2016 Season. A portion of the program will be dedicated to a discussion of the future of ballet in the UK, with Royal Ballet Director Kevin O’Hare and Directors from Birmingham Royal Ballet, English National Ballet, Northern Ballet, and Scottish Ballet. Next up will be The National Ballet of Canada on tour at the Place des Arts in Montréal, Québec. The five-hour block begins with company class followed by a rehearsal of Christopher Wheeldon’s The Winter’s Tale, which was such a success for The Royal Ballet last year. It makes its North American premiere in Toronto in November. Viewers will be taken behind the scenes at a dress rehearsal of William Forsythe’s the second detail, Marco Goecke’s Spectre de la Rose, and Wayne McGregor’s Chroma, focusing on how ballet companies prepare for performances while on tour. Last but not least, San Francisco Ballet will stream company class and rehearsals of the works the company is preparing for the 2016 Repertory Season and an autumn tour to China. There will be live interviews with Artistic Director & Principal Choreographer Helgi Tomasson and The Royal Ballet Artist in Residence Liam Scarlett about his new ballet Frankenstein, a co-production with The Royal Ballet which SF Ballet will perform during its 2017 Repertory Season. Choreographer William Forsythe will share his perspective on SF Ballet and the upcoming presentation of his Pas/Parts, a North American premiere that debuts as part of the SF Ballet’s 2016 Repertory Season. Viewers are invited to submit a video or photograph of themselves dancing in front of regional landmarks, using #WorldBalletDay and featuring the title card available at worldballetday.com. Content posted to Facebook, Twitter, or Instagram prior to October 1 may be shared during the live segments.